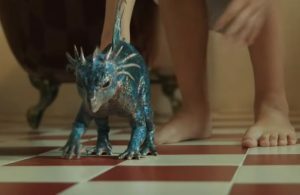 ‘My Pet Dinosaur’ Movie Review – Spotlight Report "The Best Entertainment Website in Oz"
My Pet Dinosaur, the second film directed by Australian VFX Artist Matt Drummond, tells the story of a boy who accidentally discovers and creates a Dinosaur. The film is E.T. meets Pete’s Dragon but on a considerably smaller scale. The cast is mostly made up of unknown actors. However, you may recognise a few such as Joanne Samuel (Mad Max), David Roberts (Offspring) and Tiriel Mora (The Castle). The film is well made for an independent film with big ambitions, and must be praised for it, reminding us to some early Spielberg works. Despite having some elements clearly made in post-production, such as night scenes that have clearly been shot in the middle of the day, the final product and its moving story are superb. 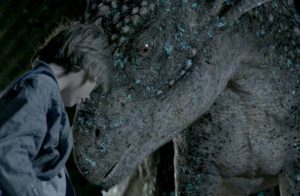 The CGI work on the dinosaur deserves a special mention, as director Matt Drummond put all his VFX expertise to give audiences a believable, cute, funny and overall appealing digital creature capable to touch every viewer’s heart. 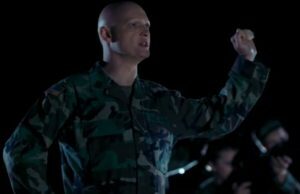 Perhaps, the most jarring part of the film was the cringe-worthy Americanisation of everything. It was evident that the sets, scenery and actors were all Australian pretending to be American. It was an odd choice, probably forced into action to open the film to foreign markets, because it held back their predominantly young cast from showing their true talent. The accents often faltered making some scenes not believable, especially while trying to set the film in areas of a small US town. The story is engaging, yet a bit slow in pacing. However, the whole concept is magical, and takes viewers to a place far from the typical Hollywood blockbusters that currently grace our cinemas. Ultimately, My Pet Dinosaur is a family friendly science fiction movie that creates an imaginative story, full of heart that will take audiences to a place where anyone can be a child with a magical creature at their side.